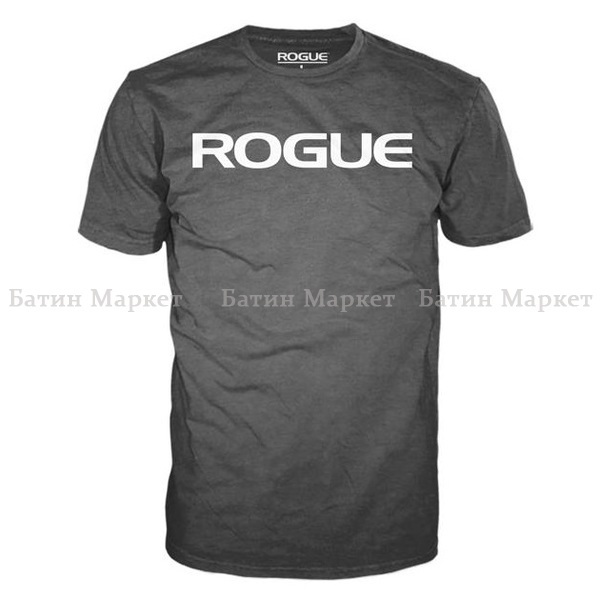 This Rogue exclusive, charcoal grey t-shirt features an original design inspired by Rogue Athlete and "Europe's Strongest Man," Hafthór Björnsson. 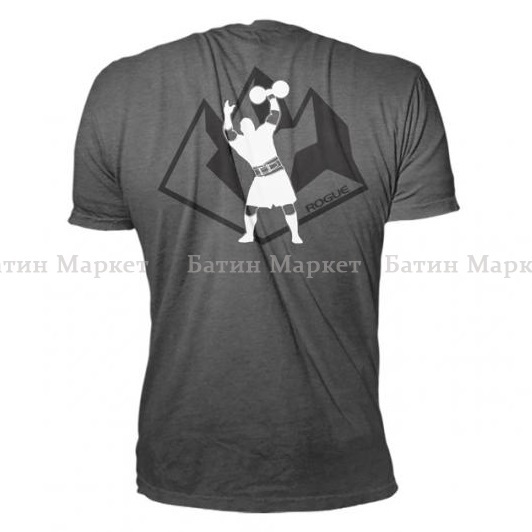 The athletic-fit shirt is available in sizes Small to 4XL. 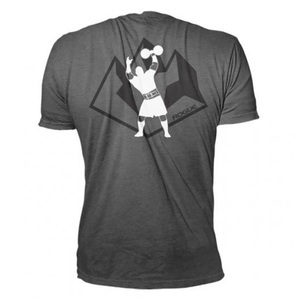 It includes the Rogue logo in white on the front, with a silhouette of Bjornsson printed on the back. 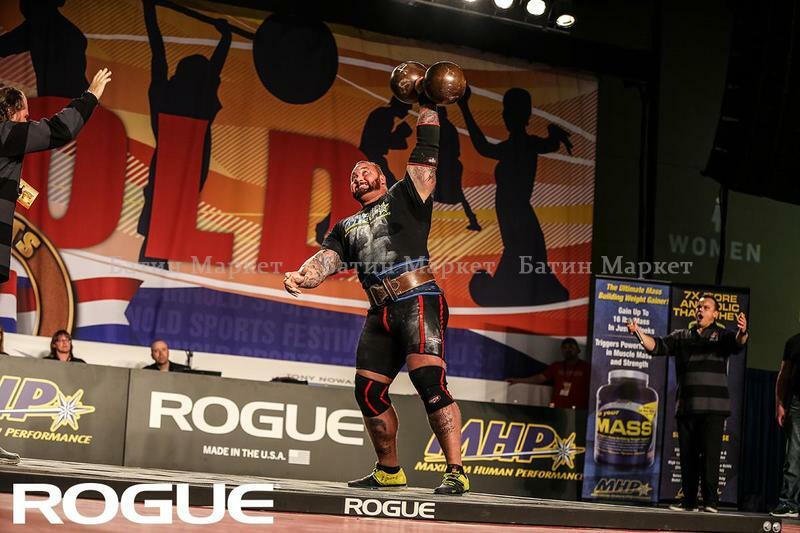 Bjornsson, aka "The Mountain," entered legendary status during a 2015 event in Norway, when he broke a 1,000 year-old Strongman record by taking five strides while carrying a 32-foot long, 650 KG log. For another Hafthór Björnsson t-shirt design, see the ROGUE THOR SHIRT (featuring the flag of Bjornsson's native Iceland on the sleeve). Check out: Hafthór's Athlete Page here. Грудь: Измерьте под руку вокруг самой большой части груди. *Please Note: The 3XL and 4XL shirts are printed on Jerzees #29M Black Heather (50% cotton, 50% polyester preshrunk jersey).